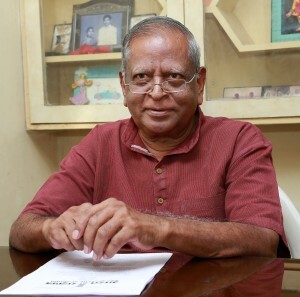 K Ragothaman, former chief investigating officer at the Central Bureau of Investigation, joined the CBI as a sub-inspector of police in 1968 and served the Bureau for more than 36 years. He handled several high-profile cases in his career, the most prominent being the Rajiv Gandhi assassination case. The author of several books, of which the best known is Conspiracy to kill Rajiv Gandhi, Ragothaman tells Rediff.com's Shobha Warrier, "As a person who worked with the CBI for more than 36 years, I feel ashamed of what is happening right now." Do you think the CBI's credibility has been lost with its two top officers fighting openly? Certainly. The people of India and the judiciary have entrusted a lot of trust and confidence in the CBI as it is the country's prime investigation agency. Many of the cases investigated without any bias by the CBI are appreciated by the public and that was the reputation built by the CBI over the years. In 1963, D P Kohli, the founding director of the CBI, conceived the organisation as one that would be better than the FBI and Scotland Yard. The vision was to eradicate corruption in high places, and handle high offences which affect the integrity of the country. He wanted to have its own cadre officers. That was how the CBI started deputation of officers from the sub-inspector level to IPS officers as investigative officers. When did the CBI start losing its credibility? I was with the CBI from 1968. I served under the second director onwards. I know from when the credibility of the CBI slowly got lost. It started with the Emergency. The then CBI director was given an extension by the Congress government. Because he was given an extension, he started obliging the PMO. It was the first time that we saw the home minister directing the CBI to investigate a case and asking the CBI to arrest a person. I was part of the special investigative cell then, so I know this personally. Till then, this was not the practice of the CBI. The CBI starts an investigation only if there is an allegation. The CBI was not supposed to identify the accused and start the investigation. That was when political interference came directly to the CBI. Would you say, from then on, various governments and political parties used the CBI for their own political gains? Yes. From then on, every director who was appointed was a stooge of the ruling party. In 1997 or so, journalist Vineet Narain argued in the Supreme Court that CBI directors should be independent of the ruling political party. As per the Code of Criminal Procedure, not even the court can interfere with an investigation. When such is the case, how can a political party interfere? That was when the tenure of the CBI director was fixed for two years as the court felt it could not make it independent. The intention was that the director would not feel threatened when the tenure was fixed. Is the fixed tenure of two years of a CBI director different from other secretary-level posts? Yes. All central government employees have to retire at 60. Justice (J S) Verma made exceptions for the CBI director and the enforcement director, but not to the IB (Intelligence Bureau) director or the DGP of the state police. The intention was that the person should not be moved according to the whims and fancies of the politicians. But what happened was this decision made the situation in the CBI worse. Take (then CBI director) Ranjit Sinha's case. He met accused persons in his office and at home. When a PIL was filed in the Supreme Court, an enquiry was ordered. And the enquiry report said that there was misconduct. Can the Central Vigilance Commission investigate the CBI director if there is a corruption charge or misconduct allegation against him? When the CVC Act was amended, it said that only superintendents of investigation of Prevention of Corruption Act (cases) would be supervised by the CVC while the administration would be headed by a director. And for all the cases, an FIR has to be registered. The CVC can supervise only those cases that were registered. Within the CBI itself, there was a special unit to look at the corruption allegations against CBI officers and the man in charge reported directly to the director himself. Why I am saying this is this is not the first time that a case has been registered against a CBI director or officer. Many DIGs and investigation officers were involved in corruption cases. The investigation was done by the vigilance organisation of the CBI. The superintendents of the investigation were thoroughly supervised by legal officers and senior officers. What happened in the case of Rakesh Asthana was the CBI director received a complaint that Asthana was accepting money in the Moin Qureshi case. So, what the director did was he used the special unit to find out whether the information was correct. When he found that it was true, a confessional statement was recorded under Section 164 of the CrPC so that there was credibility to the FIR. So, when the CBI director found that the complaint against Asthana was true, he ordered an enquiry. When Asthana came to know about the enquiry against him, he shot off a complaint to the CVC against CBI Director Alok Verma. Naturally, it was a false allegation by an accused which should not have been entertained by the CVC. The CVC then asked for records from the director instead of conducting an independent enquiry. Do you feel Alok Verma was not in the wrong in refusing to share the investigation process with the CVC? Yes. Even the Supreme Court cannot ask for the details while the investigation is going on under the CrPC. Was the government right in asking both Mr Verma and Mr Asthana to go on leave when the fight turned ugly? The government knew a war was going on between them and the reputation of the CBI was at stake. It was an open war that was going on. But the government kept quiet. The silence on the part of the government was the root cause for all the problems today. They should have interfered earlier. The CBI was called the Congress Bureau of Investigation by the Bharatiya Janata Party when it was in the Opposition. 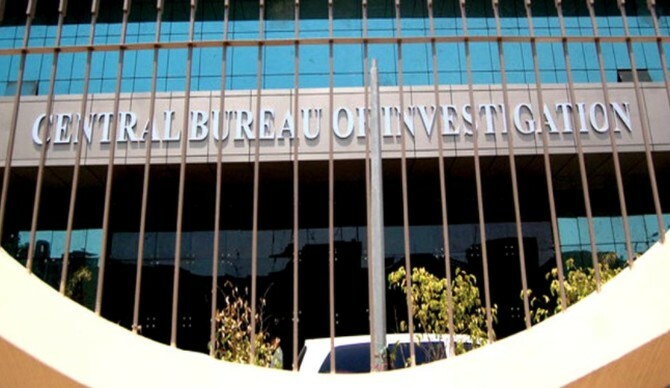 The Supreme Court described the CBI as the Caged Bureau of Investigation. After the BJP took over, it has become a Controlled Bureau of Investigation. They have put their own man to control the organisation. Now, because of the fight between these two men and the non-action on the part of the Government of India, it has become a corrupt organisation. What do you feel the government should have done? The government should have interfered earlier itself and decided on who should continue. They should have removed one person. Normally, when an FIR is registered against a public servant and enquiry begins, the person would be asked to go on leave, of course not on record. Nobody can ask or force a person officially to go on leave. That was why the words 'divesting the power' were used. But that is not possible when the tenure of the person involved is fixed. That was why he went to court. This made the government say they did not remove him from the post, and he continues to be the director of the CBI. Another question everyone asks is can the government appoint an interim director without consulting the Chief Justice of India and the Leader of the Opposition? Let us take the case of a director going on leave for three months, that too in normal circumstances. When he goes on leave, the government can appoint an interim chief without consulting the Chief Justice and the Leader of the Opposition, but he has to be the immediate junior officer. The person will be the officiating director then. For example, if Alok Verma goes on leave, Asthana will be the officiating director. But here, Alok Verma maintains that he is still the director. In such a situation, what is the hurry in imposing another person as the new CBI director in charge? When there is a director, how can you have an in-charge director? Then, they shifted all the 14 officers who were working on the Asthana case which has never happened in the history of the CBI. Do you feel the government made a mess? Yes, they made a mess. The statement that Alok Verma was still the director made it messier. How can you have a director and also an officiating director? There can only be one CBI director. Can the CBI ever be an autonomous, independent, body as envisaged by its founder Mr D P Kohli? No. It will never be as it all depends on the government and the leadership of the CBI. The CBI director is the head of the primary investigation agency in the country. I would say his responsibility is much more than the prime minister of India. In front of the law, all are equal. Nobody is above the law, whether he is the prime minister of the country or the President. He (the CBI director) can investigate anyone if there is an allegation. The CBI director has to keep in mind this responsibility. He is not expected to be involved in petty quarrels. As a person who has worked with the CBI for more than 36 years, I feel ashamed of what is happening right now.